Thursday – Sunday: Noon to 8 p.m. The Auto Skills Center offers services for the novice do-it-yourselfer to the experienced wrench. 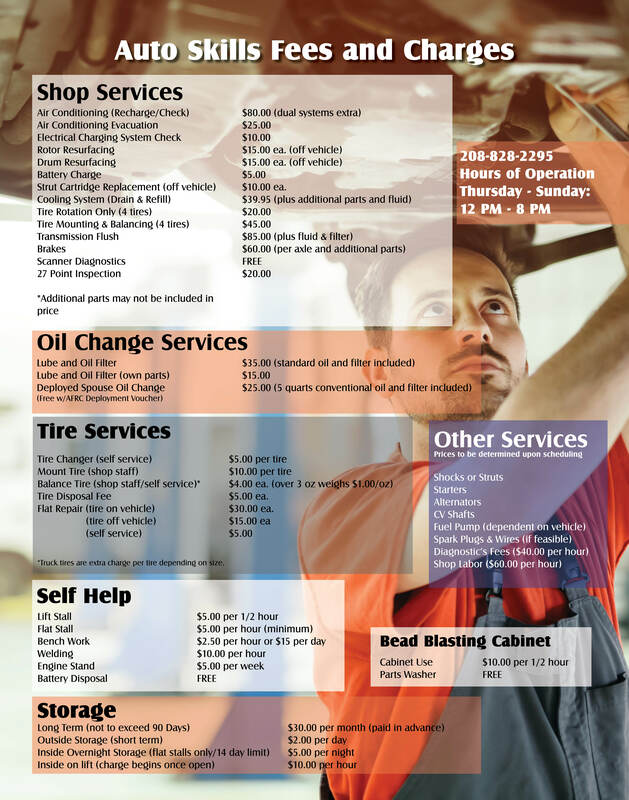 We now offer oil changes, tire rotation, balance, and repair, as well as transmission flushes. We have five flat bays and six bays with vehicle lifts (all equipped with hand tools and a work bench). 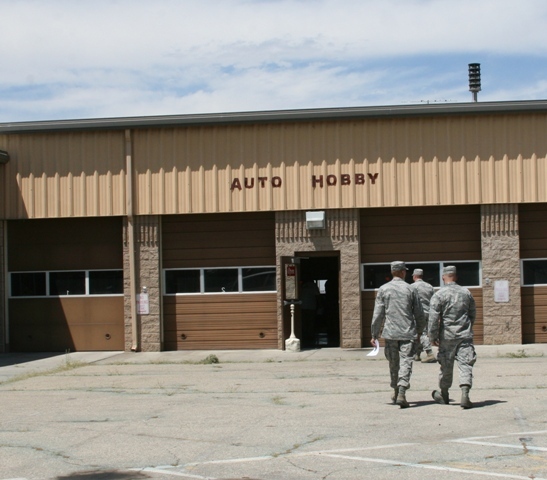 The purpose of this shop is to provide basic tools and a place for Gunfighters to work on their vehicles.